Had too much “nice” and want a little more “naughty”? 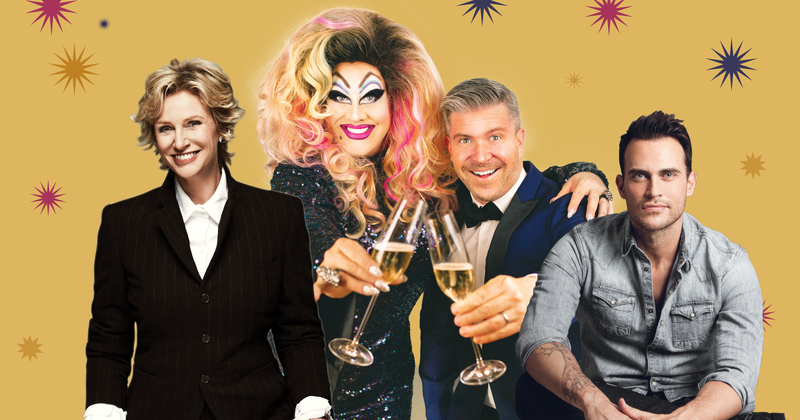 Then join us for the gayest New Year’s romp in the city as we ring in 2019 with San Francisco’s famed drag sensation Peaches Christ, Edwin Outwater,Jane Lynch, Cheyenne Jackson, and the SF Symphony! Featuring holiday hits played by the Orchestra, a star-studded lineup of iconic guests, delectable vocalists, and drag queens galore, you’ll be regaled by big laughs, big fun, and even bigger hair. Before the ball drops, kick off your New Year’s celebrations at Davies Symphony Hall with a festive evening of wicked sass and fabulous flair fit for a queen.